Scrolling down to the comments there is some clarification on what was going on. Apparently the old limit was 3600°/second… that’s 10 whole revolutions in one second. 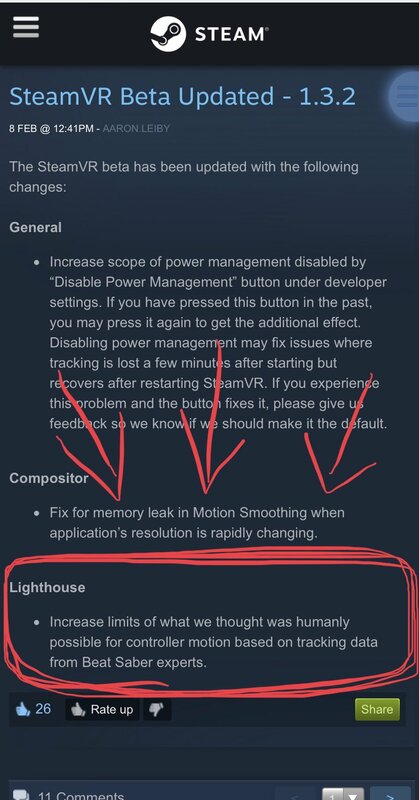 🤔 Also, “light enough controller”, is this something else than a Vive wand? I know Knuckles feel lighter to me.